I hope you had a nice long holiday weekend and survived all of the sale madness! I spent 9 days at home in Shreveport, Louisiana (with a quick trip to Dallas on Thanksgiving). It was so nice to be home for a longer than normal stretch! 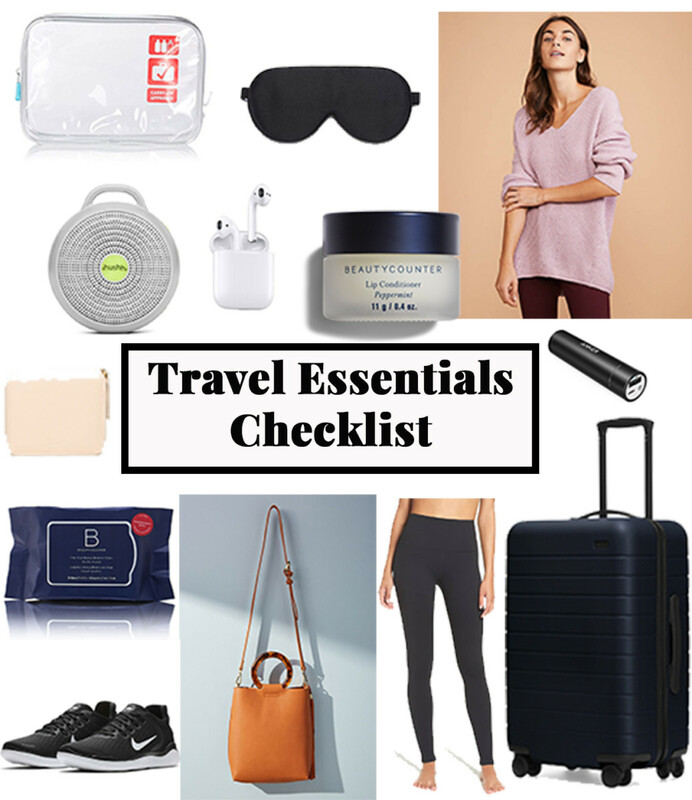 Today I wanted to pop in to share some of my travel must-haves especially with all of the impending holiday travel! It’s no secret that I love to travel. With all of my travels, I’ve gotten into a pretty good packing routine, and no matter where I’m heading, there are a few items that I never leave home without! At the top of my list of travel necessities is a great carry on bag. I’m a huge proponent of only using a carry on bag as it makes traveling SO much easier, especially on trips where you’ll be moving from place to place. You can read all about my love of Away travel bags here and here. Another travel essential, a cozy tunic sweater. Even if I’m heading somewhere warm, I always get cold on the airplane or in the car. A sweater also comes in handy in the mornings when I’m rolling out of bed and not quite in the mood to get dressed for the day. On a similar note, I always have at least two pairs of leggings with me. Usually one cropped pair and one full length pair. I throw on the cropped pair in the mornings and usually wear the long pair for travel, workouts, or during the day! Sneakers. 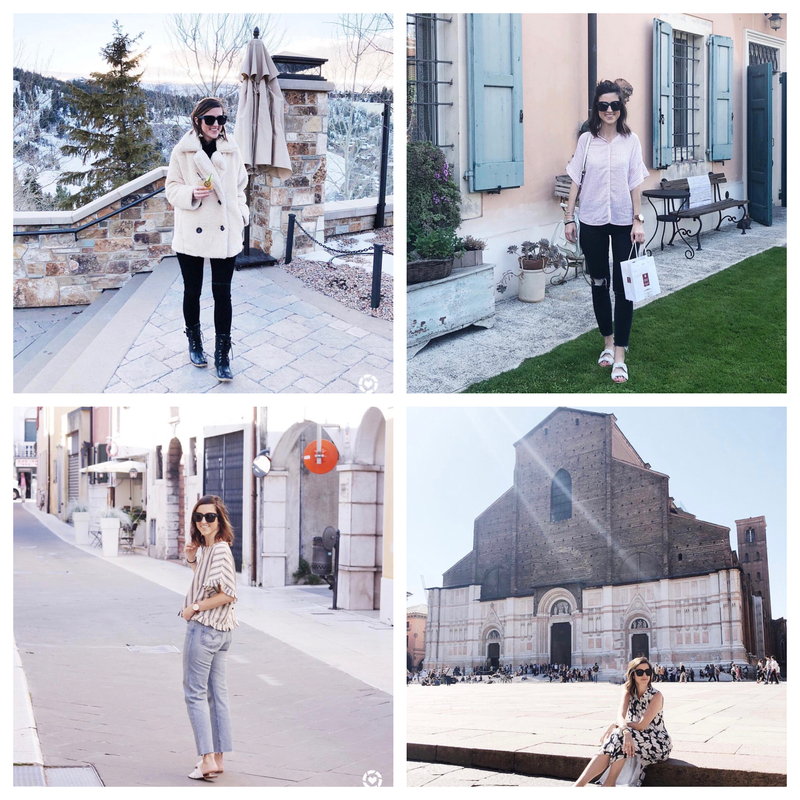 Comfortable sneakers are a MUST for any trip. Even when I don’t think I’ll need them, I throw them in my bag, and I ultimately always at least go for a walk or just want to sport athleisure wear one day! A crossbody bag and a small wallet are a must so you’re not lugging around a ton of stuff throughout the day. Even though most airlines say you can only bring one toiletry bag with you, I always bring two and have never had any issues. These bags are perfect for packing up all of my toiletries so easy and keep the liquids from leaking all over the place if a mid-air explosion happens to occur. I pack one in my purse or backpack (depending on which one I have with me) and one in my rolling carry on bag. For a full toiletry list on what I usually take with me, check out this post! A few toiletry items I always throw in an easily accessible pocket in my purse or backpack: face wipes, my favorite lip balm, and an extra pair of contacts! Headphones and an eye mask always come in handy whether it be on the plane or in your hotel room. I’m a new Airpod wearer and holy smokes, I’m kicking myself for not buying them sooner! They are AWESOME, but they’re especially awesome for travel. There’s no worries about getting all tangled as your de-boarding the airplane. Last but not least, I don’t go anywhere without my travel sleep machine. There’s nothing worse than not getting a good night’s sleep while traveling. This little guy might be the best $30 I’ve ever spent, it’s a game changer. On the same travel note, I was able to fly home to Shreveport (a flight into AND out of Shreveport?! yep!) for FREE this Thanksgiving! Thanks to one of my go-to credit cards. Check out this post to see how I booked my American Airlines flight with Chase Ultimate Rewards! Compare my favorite travel credit card with other travel credit cards here!